Avoiding High Fructose Food Items In Your Candida Diet - YeastInfection.Org by Eric Bakker N.D.
Don’t be fooled by fruit, some books on yeast infection I have read state that “fruit is safe to eat by those with a yeast infection”. 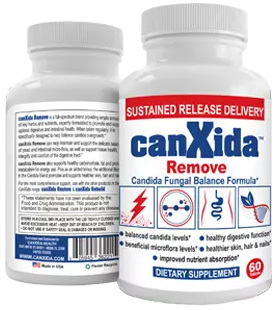 This is simply untrue, candida proliferates by consuming and fermenting sugars like sucrose, fructose and other simple sugars, that’s how it lives and thrives. The less sugar you eat, the less chance candida can thrive and the sooner you will beat that yeast infection. What you will most probably know is that most fruits contain sugars, especially a sugar named fructose, a sugar which is twice as sweet as sucrose. Today, most human fructose intake comes from high-fructose corn syrup (HFCS), a man-made sugar composed of 65% sucrose and 35% glucose. This abundant sugar is used to sweeten just about every processed food because it is cheap and mixes well with many different kinds of foods, many health experts are now viewing HCFS as being a toxic addition to our diets, it just increases our sugar intake needlessly, and along with it the risk of a candida yeast overgrowth. Did you know that soda drinks account for 33% intake of a person’s fructose intake these days? An average 600ml can of soda drink contains nearly 36 grams of HFCS fructose, and experts tell us to limit our total fructose intake to no more than 25 grams per day. So what fruits and sweeteners contain the highest amount of fructose? Well I’m glad you asked, because I took the time to compile a list for your benefit. Try to avoid those fruits and sweet additions to your diet with the highest fructose intake at least until you feel a lot better in your digestive tract, experience a lot less bloating, gas and irregular bowel motions. Is it any surprise that dried fruits contain the highest amount of fructose? So please do avoid all dried fruits until you feel much better. As you improve, slowly increase your intake of fresh fruits first, the ones with the lowest fructose intake, and remember not to include dried fruits until much later. Be prepared to remove any high fructose fruits until you improve and drop back to the lower fructose containing frits like berries, especially if you aggravate when you re-introduce the higher fructose containing fruits during the reintroduction stage of the Candida Crusher Diet. What about sweetners like stevia and xylitol, please?